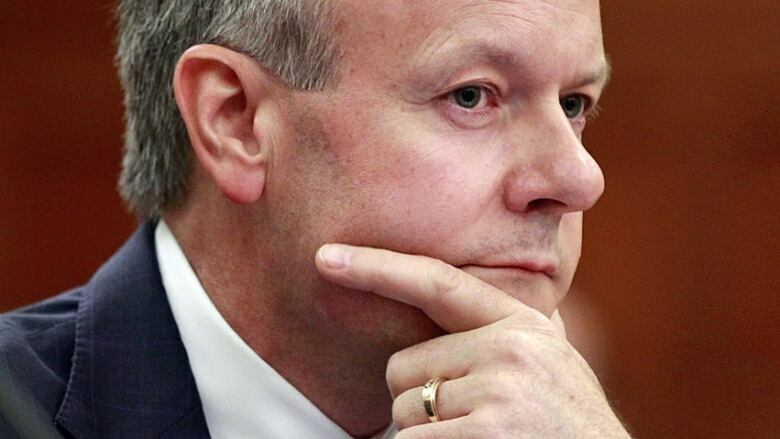 Bank of Canada governor Stephen Poloz says he believes the controversial quantitative easing program adopted by the United States has helped that country's economy. The remarks appear to diverge from a recent statement by Finance Minister Jim Flaherty that the U.S. should never had adopted the policy and should exit it as quickly as possible. The Canadian central banker was drawn into the controversy during testimony before the Commons finance committee as opposition MPs tried to get him to outwardly reject Flaherty's position, while Conservative MPs tried to get him to back the minister. Poloz noted that Canada's central bank had also laid out a proposal for quantitative easing to inject liquidity into the financial system at the height of 2008-09 crisis, suggesting strongly that Canada would have gone down that route if conditions kept worsening. Flaherty recently likened quantitative easing to basically printing money, but Poloz would not back that description, instead, describing the program as the purchasing of government debt that gives markets and business more certainty about the path of interest rates. He says the $85 billion in monthly bond purchases in the U.S. has succeeded in strengthening the country's economy, adding that Washington has made great strides in reducing the deficit. In other testimony, Poloz says there have been few new jobs for young Canadians since the recession mainly because there's been a lack of new companies created. He explains that most new jobs are not created by existing firms, but by new startups and from 2008 to 2012, the net number of companies in Canada have remained flat. Fortunately, he says more companies expanded in 2013, and he expects employment prospects for young Canadians will start to improve.